In recent years, nuclear deal or no, Western courts and governments – from Canada to the United States – have been ordering Iran to forfeit frozen Iranian assets in order to pay compensation to victims of Iranian-sponsored terror. Tehran, of course, has been making a fuss and crying “highway robbery,” but has not been able to turn the tide of compensation rulings and seizures. 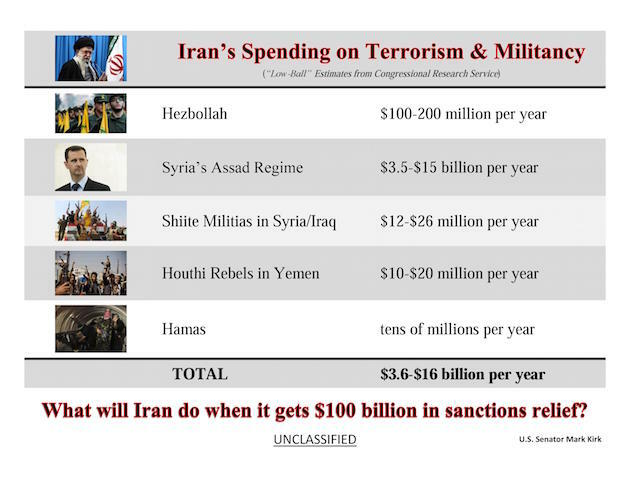 Instead, it has been continuing to unrepentantly sponsor the very same terror that landed it in court in the first place (yet more proof that the Iranian regime itself is the greatest obstacle to its own sanctions relief). It was hardly a coincidence that the Iranian announcement came on the heels of the US Supreme Court’s recent ruling that Iran must hand over almost $2 billion in frozen assets to US citizens affected by Iranian-sponsored terrorism. Clearly, Iran is eager to equate US foreign policy on Tehran with its own reprehensible, murderous terror activities deliberately targeting civilians (including American and Canadian civilians). It’s a move Iran, in its attempt to deflect attention from itself, and evade responsibility for its support for terror, has tried before; but if anything, Iran’s blatantly hypocritical move has drawn even more media attention to its own murderous actions.